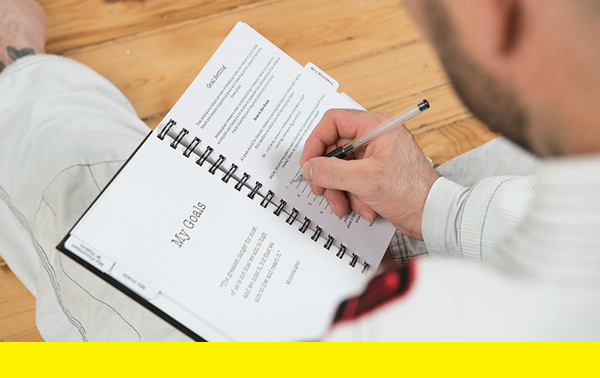 Can you use "My Jiu-Jitsu Journal" to crush your goals too? Studies have shown that documenting your fitness goals and progress helps you retain more, improve faster, and crush your goals. Champion's Creed Head Coach Brian Bird met Elevata BJJ's Barbie Perry at a conference in Toronto and was delighted to hear about a project she had started, with a goal of impacting 100,000 people through uniform donations, tournament registrations, and training sponsorships. 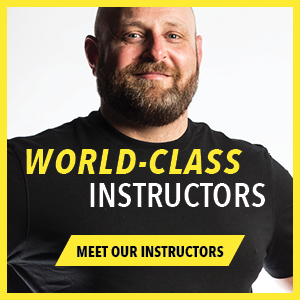 He was equally enthralled by the My Jiu-Jitsu Journal she created to help Brazilian Jiu-Jitsu students with their goals, so he asked us to dig a little deeper to find out all the details. In our interview with Barbie she told us that when she was training for Worlds in Abu Dhabi, she realized she needed a better plan. 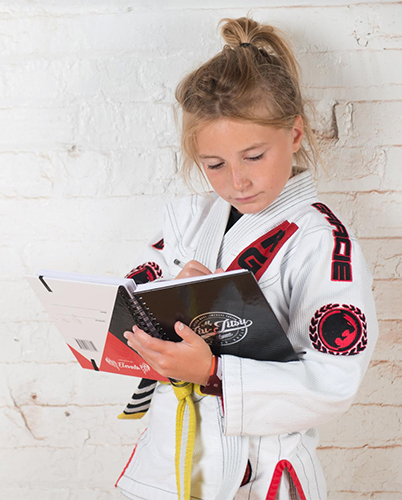 Understanding the power of documenting and journaling, she created a journal for herself—the My Jiu-Jitsu Journal that she needed to win. The examples I wrote in My Jiu-Jitsu Journal are the exact steps I used to win Worlds in Abu Dhabi. I was even able to win a year earlier than my goal. 1. Get clear on your priorities in life. 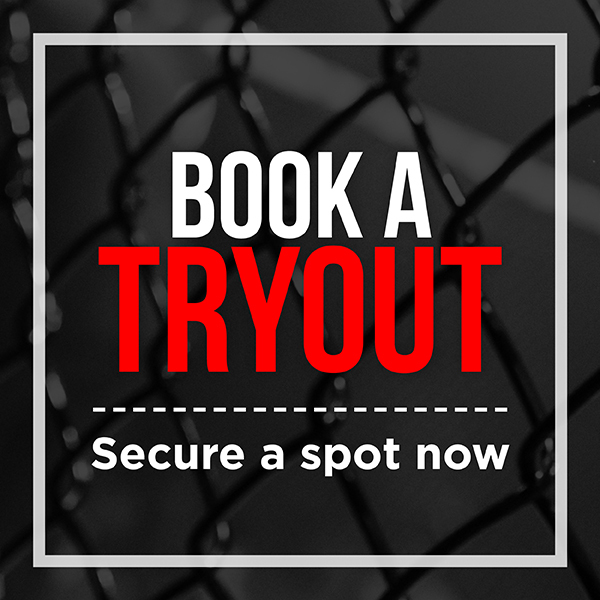 If you have big training goals, it's important to know where Brazilian Jiu-Jitsu fits into your life's priorities. 2. Organize your goals and create action plans. A key part of reaching your goals is being able to visualize your success and come up with an action plan that will guide you there. 3. Retain techniques quicker and more accurately using the training log. There's incredible power in writing things down the old fashioned way. 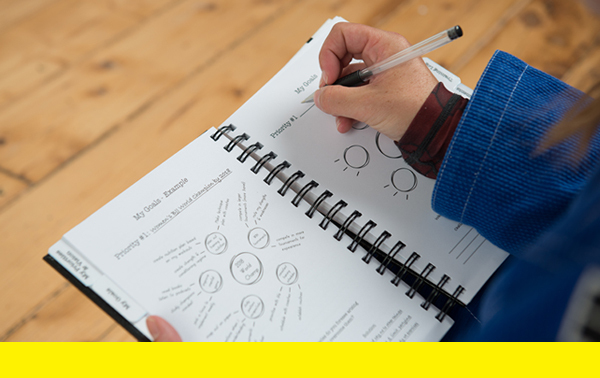 Studies have shown that writing things down by hand triggers more activity in areas of the brain associated with learning. And yet another study found that people who write their goals down tend to accomplish them. 4. Review your progress every 20 sessions. Another benefit to writing things down is that you get to come back to them later. 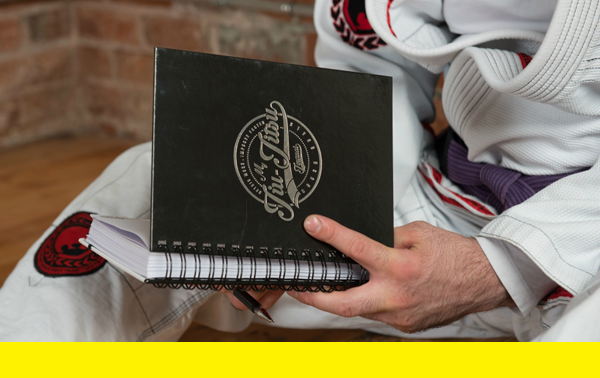 My Jiu-Jitsu Journal gives you the opportunity to review your progress on a regular basis. 5. Cultivate a positive mindset through gratitude. Crushing goals isn't easy. If it was, everyone would do it. It's normal, sometimes, to get discouraged along the way. Take time out each day to list a few things you're grateful for. It's an excellent way to inject positivity into your daily routine. 6. Keep track of tournament opponents and results. 7. Organize your seminar notes. Another section of the journal is for seminar notes. Keep track of everything you're learning for training in one place. 8. Retain More. Improve Faster. Crush Goals. This journal gives you everything you need to stay motivated and on track. "The best part about training today was…"
"I want to work harder on…"
will help you finish your practice on a positive note every time. If you think you're going to win, you'll win. If you think you're going to lose, you're setting yourself up to lose. In life, mindset is everything. Even if you're competing at the world level. Barbie Perry (who does performance coaching), wanted this journal to be about more than just entering your techniques. 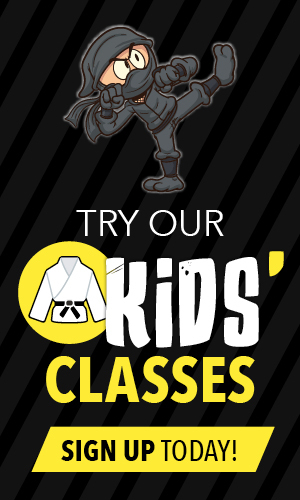 It's about teaching you how to set goals that are aligned with your top priorities, Brazilian Jiu-Jitsu related or not. Champion's Creed is proud to support Elevata BJJ with their mission to impact the community. 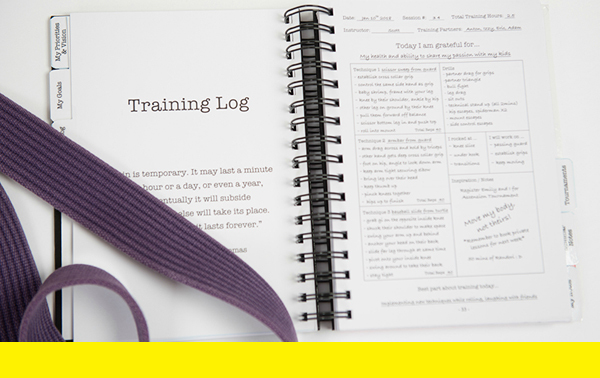 Barbie's My Jiu-Jitsu Journal is definitely going to be a useful tool for anyone with big training goals this year. 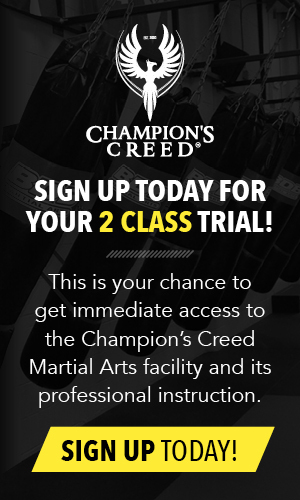 If you'd like to purchase a journal for yourself or a friend, Elevata BJJ has offered all members of Champion's Creed 10% OFF! Use promo code 'CREED' at checkout!